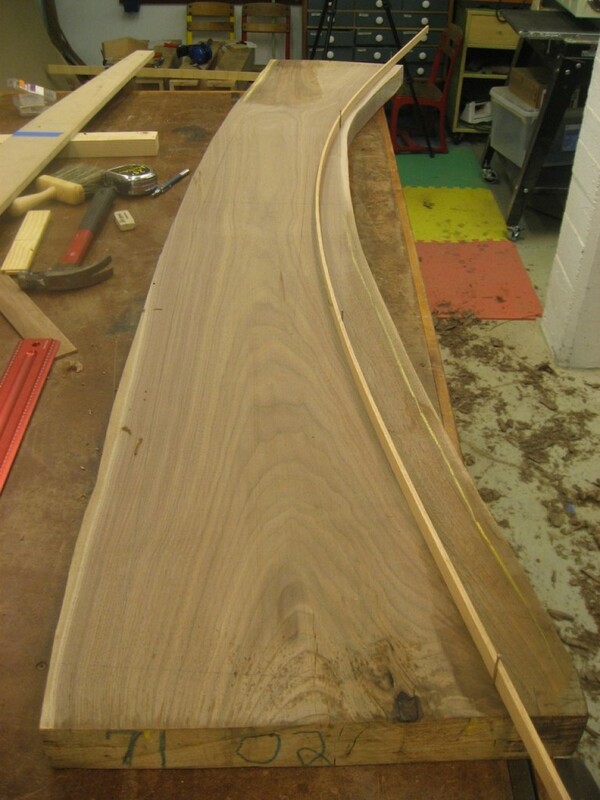 Now that the stretcher is flat, I decided upon the final curve using the grain. I found that bending a thin piece of wood around four nails did the trick. 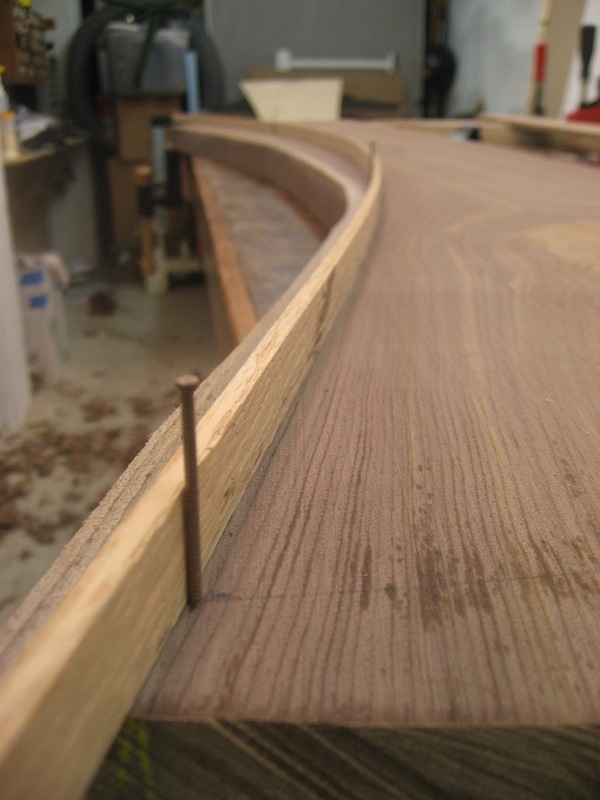 A flexible piece of wood bent around four nails defines the curve. 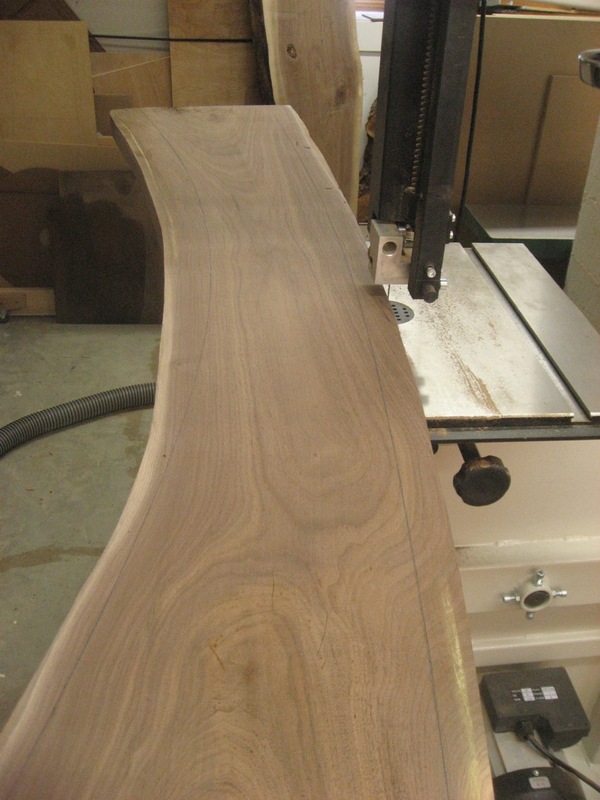 Here you can see the curve following the grain. Back to the bandsaw to remove the waste. 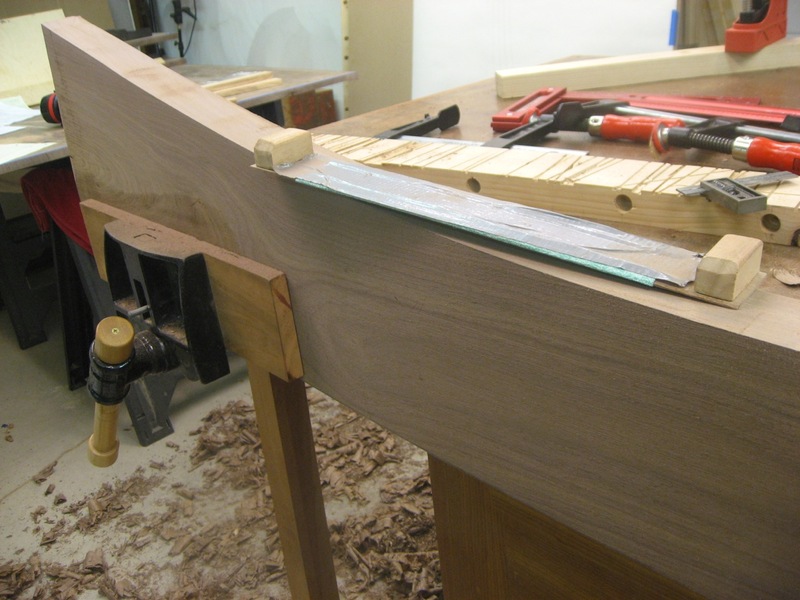 The bandsaw quickly removes the waste beyond the traced curves. 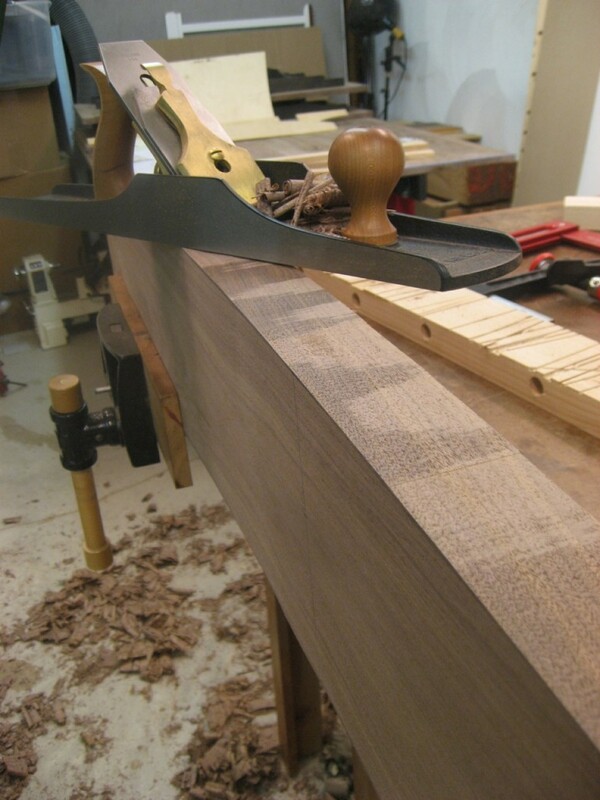 The convex section I could clean up with a hand plane, providing a really nice smooth edge. A Lie-Nielsen #7 cleans up the convex surface. Unfortunately I don’t have a compass plane for the concave side. I went with a flexible sanding strip. I’ve used rasps and spokeshaves in the past as well. A flexible sanding strip cleans up the concave surface.